But the former 'Home Alone' actor who stayed with Michael a dozen times between the age of nine and 14 and testified in the late singer's defense in his 2005 trial, has now joked about the allegations during his Bunny Ears Podcast Live. In his podcast, the 38-year-old referenced the explosive allegations that Jackson had molested Robson and Safechuck in front of the King of Pop's daughter and his god-daughter, 20-year-old Paris Jackson. Macaulay was speaking at the Largo at the Coronet in Los Angeles on Tuesday night, reports Daily Mail. 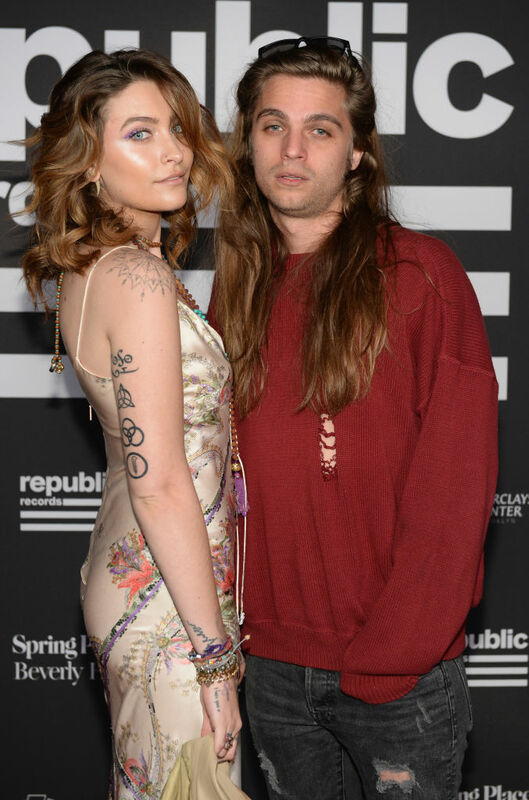 The event saw Macaulay being cheered by Paris and her boyfriend Gabriel Glenn, who had attended the event in his support. In an onstage interview with Weird Al Yankovic, Macaulay jokingly asked his guest: "I’m going to ask you a very serious question: what was your relationship like with Michael Jackson?" Al chuckled, "Um, mostly platonic. I met him two or three times, he was pretty sweet to me", as the pair fell about laughing. After laughing it out, Macaulay retorted to his guest's statement: "Sounds amazing, he sounds really cool, yeah..."
He added, "I will say he was a huge, huge fan of yours. Yes, he always had your videos kind of playing constantly. There you go, validation. Praise. Hail, Caesar!" But the whole bit must have come as a shock to Paris, with sources claiming that she and her boyfriend didn't speak to anyone at the event. A source told The Sun, "She didn’t talk to anybody and just kept her head down scrolling through her phone while smoking at a little table in the corner." An eyewitness further claimed, "Paris barely spoke to Gabriel and looked pretty downcast before sneaking backstage with Macaulay’s girlfriend Brenda Song." It was only earlier this week that Paris' alleged 911 phone call was unearthed where emergency responders, who called to the star's California home on Saturday, can be heard speaking about a "psychiatric problem". At one point during the conversation, rescuers even delivered the instruction "upgrade to emergency".